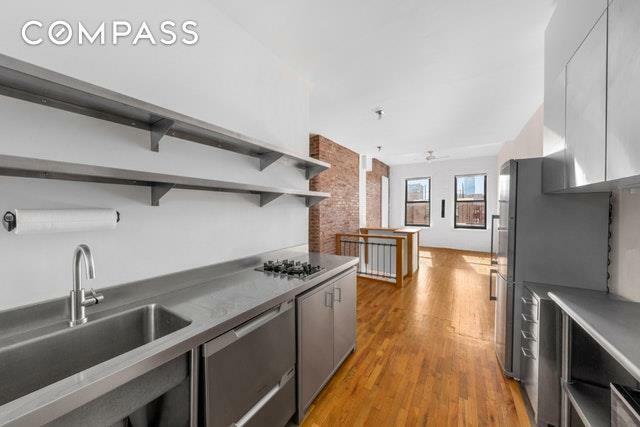 This unique East Village 1-2 bedroom duplex home with a private roof deck is located on the top two floors of a pre-war walk-up building on a prime park block in Alphabet City. Restored to celebrate the original details this property oozes charm.Five quick flights up, you are immediately struck by the extraordinary light flowing through south-facing windows. 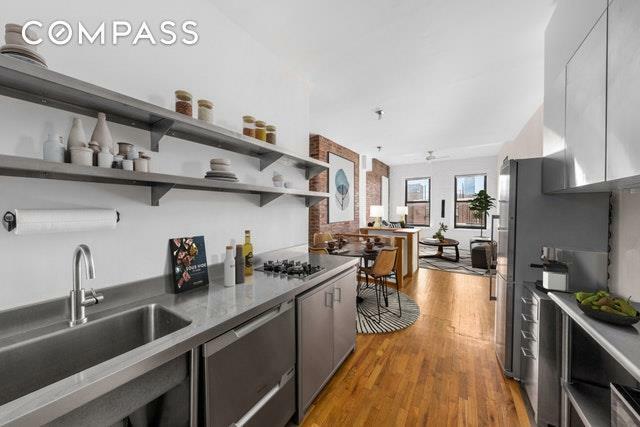 Exposed brick, hardwood floors, and high wood beamed ceiling celebrate the artistic vibe of the neighborhood. The top floor is dedicated to your entertaining space with an open stainless steel kitchen with adjacent dining nook and living room with two south facing windows flooded with light and views of downtown. 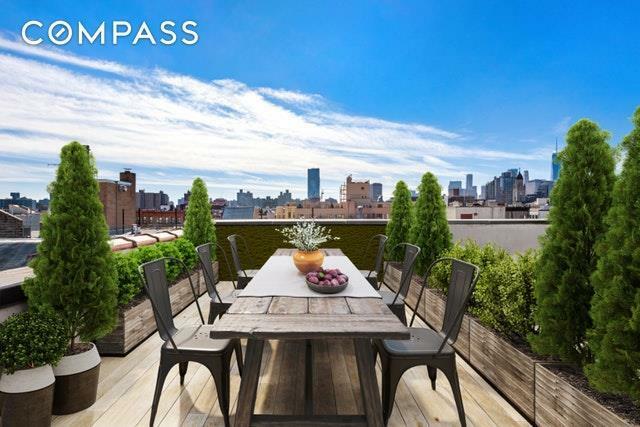 The unexpected private rooftop (accessed via the building stair) provides a perfect perch for summertime gatherings and al-fresco dining. 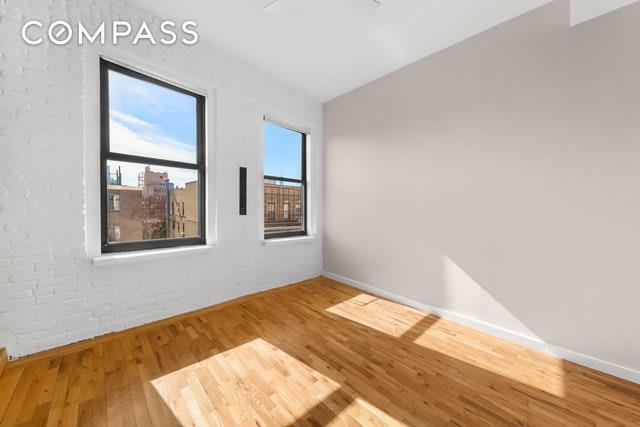 Low monthlies and a washer/dryer complete the picture!Ideally situated in the vibrant East Village, a stone's throw from Tompkins Square Park, Brant Foundation Art Study Center on East 6th, fantastic restaurants, bars, and public transportation (L, F, J, M, Z and 6 trains). This self-managed 10 unit co-op is financially sound - in fact, the co-op plans to pay down their underlying mortgage in full by 2020 which could reduce the monthly maintenance costs. Additional storage is available. Sorry, no dogs. Images are virtually staged/furnished.